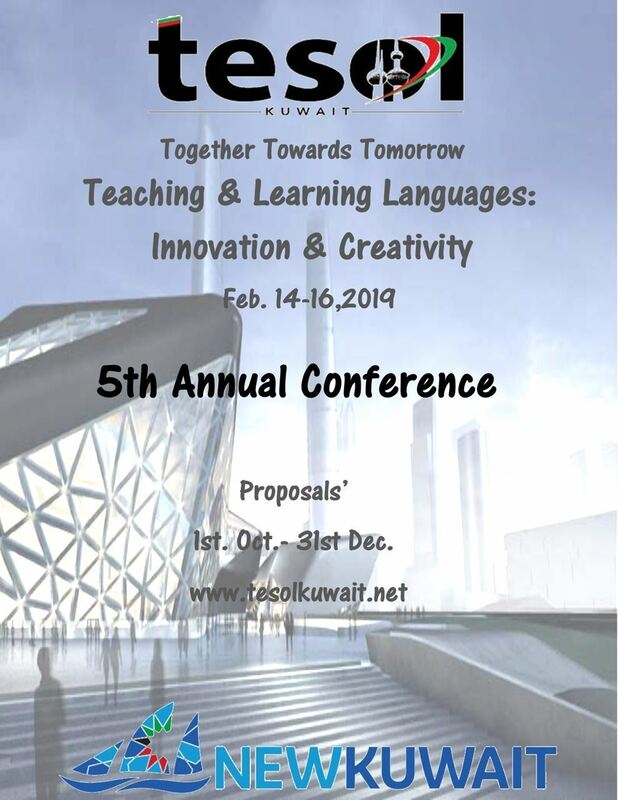 We are pleased to announce the Call for Proposals for both TESOL Kuwait Annual Conference and the Evillage Event within the Conference. 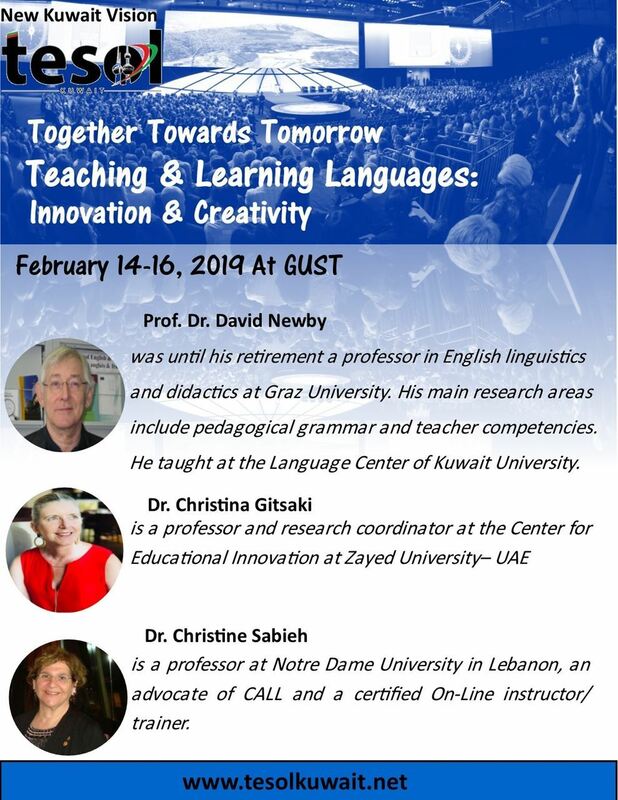 The Annual Conference has its own online submission form and the Evillage Event has its own online submission form. Individuals can apply for both call for proposals if they wish. Please click on the Annual Conference section to access the Conference Content and Call for Proposals for all the Conference Themes. Please click on the Evillage section to access the Evillage Event within the conference and its related Technology-based Theme.